You might want to have a cocktail drink. Deals and voucher codes that you can use at Wilko, Superdrug, Poundshop, and other reputable online UK sellers will certainly not disappoint you. Using the latest discount codes is an amazing way to get great value for your money. Our deal hunters will share to you important information to help maximise your savings. Here at Latest Deals, we will provide you with information about the latest cheap cocktail drink deals and offers. Purchase some Cocktail if you are going to have a party for any special occasion. 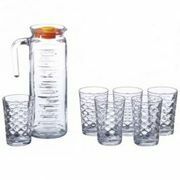 Get the best savings on all cocktail essentials you need here at Latest Deals! Cocktails are combined and mixed alcoholic drinks. They are achieved when spirits are added together. They are also mixed with other ingredients such as flavoured syrup, cream, lemonade, fruit juice or just simply cream. Typically, cocktails have three flavours including alcohol, sugar, and bitter or citrus. There are distilled spirit added in the mix as well chich can be fruit juice, soda or a highball. Other ingredients can be milk, sugar, honey, and even different kinds of herbs. It is not clear where the origin of cocktails came from, so tracing it is quite difficult. Traditionally, it was known as the mixture of bitters, water, sugar and spirits. It was only in 1860 when it began to add liqueur to its composition. It has gone a long way indeed. In 1862, a bartender’s guide was published that features various cocktail recipes. They are mostly for sours, slings, punches, shrubs, cobblers, toddies and flips. The main ingredient that sets it apart from other drinks is its bitterness. Highballs appeared in 1890. This is meant to identify the difference between a mixer and a distilled spirit. Something changed in 1960 through 1970 when the drink lost its popularity. However, it has resurged again in 1980. Vodka substituted gin like Martini during that time. In the 2000s, the traditional cocktail made a huge comeback. Some sort of renaissance transpired in the mid-2000s when the cocktail culture was reinvented. The style mixology was introduced which was inspired by the cocktail tradition. However, it utilises novel ingredients that are packed with complexity. Who does not like to have a party once in a while? With the right cocktail, any occasion becomes memorable. You can also complete your night with a glass or two while you chat with friends. This can be simple. Find a cheap cocktail or cheap alcohol UK and you can start going. That is easy to do these days. Begin with cheap alcohol deals to own the drink you want. You need not worry about your budget. You can always get a cheap alcohol online if you know where to look. Here at Latest Deals, you can find the best offers like vodka deals, alcohol gift sets, among others. All of these are available at the lowest price. You can also look for the top cocktail picks that you can incorporate in your preferences someday. We have a massive community of bargain hunters who always share verified cocktail deals, discounts and price drops from shops across the country. We also have a team of money-saving experts who regularly share essential buying tips and tricks that can help you get some serious money off on your online and instore purchases. 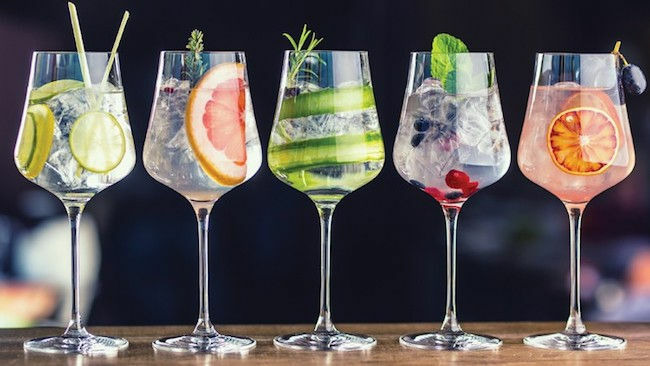 Most UK online stores have sale events, seasonal clearance, and flash sales where you can save as much as 50% off on a wide array of cocktail essentials. Furthermore, they usually reduce their prices during Black Friday and Boxing Day. 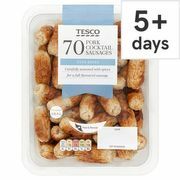 But if you want to maximise your savings, make sure to use the latest cocktail discount codes you can find here. There are also voucher codes where you can get freebies and free shipping. Do not forget to bookmark this page and never miss out on fantastic discounts, amazing savings, and every day low prices from your favourite online UK shops! Take advantage of this when buying a cocktail garnish or cocktail umbrellas. Are you tired of ordering the same drink over and over? Do you want something new when you go to the bar? While it is true that everyone comes with a favourite, it will not hurt to explore fresh flavours once in a while. There are many found in the drinking scene. Tim Collins. Tim Collins is a combination of lemonade and gin. It also has sugar, lemon juice and carbonated water as well. It is said that it has a new family now. Whatever is included, it is crucial to garnish the finished product with a good lemon. Caipirinha. Caipirinha was first introduced by the Rio Olympics. This became an excuse for the Brazilian drink to be enjoyed by many. It is a mixture of lime, sugar and cachaca. Gin Fizz. Gin Fizz is a simple drink that gives an extraordinary feeling. It is from gin, lemon, lime, sugar and soda. Until now, it is considered a modern classic by many. Rum Old Fashioned. Rum Old Fashioned is the spinoff of the classic rum cocktail. However, it has been given a new life. It is a combination of dark rum, white rum and Taylor’s Velvet Falernum liqueur. Penicillin. Penicillin is more than its name, of course. The drink is a blend of lime, juice, scotch, honey-ginger syrup and an Islay whisky too. It is topped with candied ginger. That alone sounds delicious. Pisco Sour. Pisco Sour became popular first in 1930. This comes with a pisco, lime juice, simple syrup, egg white and Angostura bitters. This never gets old. Low in calorie. The combination of vodka and soda can never goo wrong. It is low in calorie. As a matter of fact, it is claimed to have at least an average of 96 calories for every 50ml. 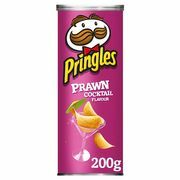 The flavour should not be bad for you too. The only downside is that you may feel sleepy when you drink. But, you can expect for this to satisfy your cravings. Packed in Vitamin C. The usual garnishes of cocktails found in bars are always squeezed with a slice of lime or lemon. There are also other citrus options that can bring a good number of vitamin C. When you take this, you can boost your immune system support. Furthermore, it will also neutralise your free radicals that can damage tissues and skin cells. Have medicinal properties. The spirit of your choice determines the value of cocktail to your health. So if you are careful of your waistline, the mixers should be your utmost consideration. For instance, tonic water has Quinine. This is said to be a cure to Malaria. If you want the finest Quinine then, fever-tree tonics should be found in your drink. Curing abilities. Now let us focus on the properties in Spirits. Gin will be the top contender here. It contains herbal goodness. Usually, it features juniper berries, rosemary, angelica root, nutmeg, citrus peel, and lemongrass. All of these can fight infections. Apart from this, they are also full of antioxidants. So, they can also neutralise free-radicals. Useful to your well-being. The bitter in cocktail has restorative properties. This has ingredients including orange peel and quinine too. Hence, it can be a remedy for hiccups. It can also be utilised to cure your stomach if it is upset.